There’s a book about the FBI’s Operation Bullpen, which, in 1999-2000, broke up a ring of forgers across the United States. They estimate that $100 million worth of fake autographs got into the market, and were distributed by all the big sellers. Forged signatures included Ruth, Gehrig, Cobb, DiMaggio, and Mantle. Nevertheless, the other day I was doing a story about a collector and I wanted to talk to the dealer who was planning to represent him when he put his collectibles up for auction. The dealer, at first, was a little wary about talking to me because he wondered, mistakenly, if I was involved with the FBI. Believe me, folks, I’m a writer. And a journalist. If I were in the FBI I’d be getting paid a lot more. And I’d have to wear a suit and tie every day to go to work. But I’m not. I’m just a guy who wrote a book about forgery—here, check out my author’s website if you want to learn more. 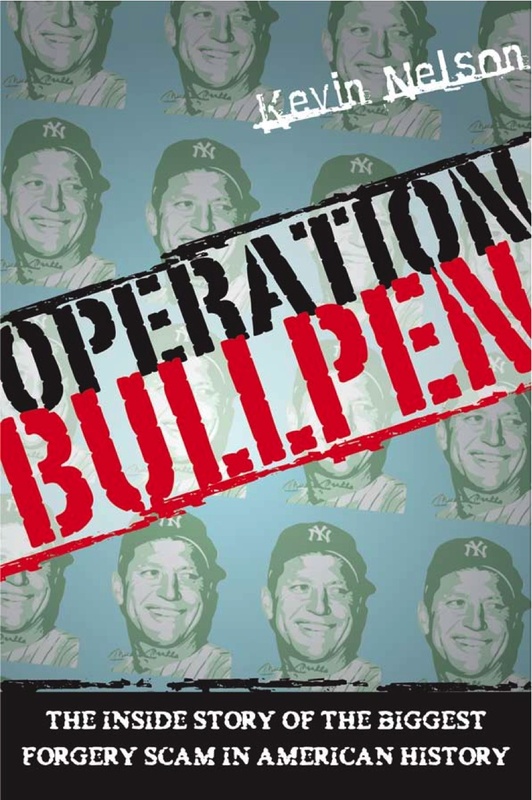 Honestly, I figured I’d write Operation Bullpen and then move onto other books and topics, which I have. But I keep writing about forgery and other types of collector crime because it remains an endlessly fascinating subject, with breaking new developments all the time. The dealer eventually relaxed, we had our interview, and I filed the article with the magazine that assigned me to do it. That’s the way it works in the writing biz—nothing more to it than that. But a writer lives and dies by his sources, and if you’ve got a question or tip about forgery or collecting crimes, drop me a line. I’m interested.